There are many ways for your youth player to practice hitting, but nothing beats swinging at a pitch thrown from a person or a machine. In an ideal world, every hitter would have access to a practice pitcher who could throw to them for hours each day. But finding someone who can keep pace with your hitting practice schedule can be difficult, which is where pitching machines come in handy. There are a lot of different pitching machines available, but we want to focus on only the best. Along with alerting you to the different kinds of machines that are available, we also want to give you practical advice on how you can use a pitching machine to improve your hitting. After a while, you will understand why the very best hitters in the game use pitching machines to keep their swings consistent and effective. To be the best, you have to work with the best equipment. That means that you should invest in only the best youth pitching machines to help your youth player improve their swing. These are the best baseball pitching machines on the market, and they can all help your hitter to become more consistent at the plate and play a better all-around game. For Little League hitters just finding their swing, nothing is more important than rhythm. The Lite-Flite pitching machine by Jugs is very portable, and it provides a steady stream of pitches to help your youth hitter to find their stride. You can vary the pace of pitches, and this versatile little machine even throws softballs as well. 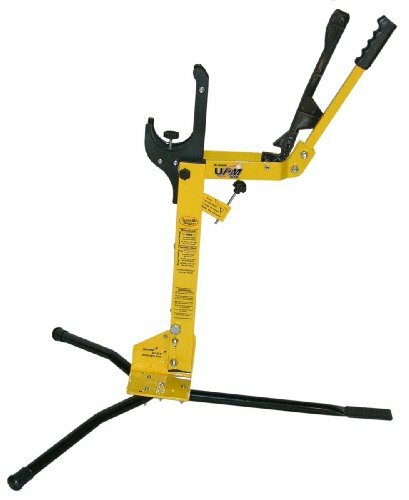 Whatever your young players needs their little league pitching machine to do, the Lite-Flite can do it. As your youth hitter’s game improves, you can start throwing in some variety. The Lite-Flite can throw pitches from the left or right side, and it can also throw specialty pitches such as sliders and curve balls. This is the machine you need to help your youth player get introduced to all of the complexities that go with making good contact with a baseball. The Lite-Flight is available on the company’s own website or on Amazon. See it in action below! The Blue Flame is a great all-around pitching machine and provides tremendous value for the price. This is considered the best youth pitching machine for two reasons. First of all, it is made by Louisville Slugger and that is a company that has a solid reputation for offering the very best in youth baseball equipment. Secondly, this is one of the most versatile pitching machines on the market. Not only does it throw softballs and baseballs, but it can also hurl soccer balls and volleyballs, if your youth player is into those sports as well. The engineers at Louisville Slugger made this machine able to operate without using any power source, but that does not take away from its functionality. It can offer a range of pitch speeds from 18 to 45 MPH, and it can also throw a variety of pitches to help your slugger work out their swing. 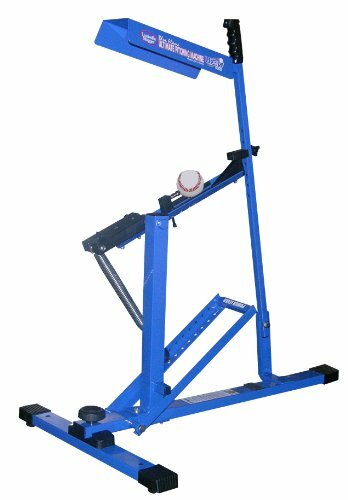 When you need a machine that helps your little slugger with all of their sports practice needs, then look to the Louisville Slugger Blue Flame Pitching Machine. It is durable, portable and ready to go to work. See the video to see how the Blue Flame works. You can find it on Amazon to check the price and find some helpful reviews from users. When your Little Leaguer is practicing in the backyard, the conditions are not quite as open as they would be in a park. But with the SKLZ Lightning Bolt Pitching Machine Pro, you can give your youth hitter the full workout they need to improve their hitting skills, and smooth out their swing. This is a pure pitching machine that can hold up to 25 special soft practice balls in a shagger that you can use for a quick pick-up after all 25 balls have been thrown. You can adjust the Lightning Bolt Pitching Machine Pro for different pitching angles, different speeds and different wait times between pitches. When you buy this machine, you get 12 practice balls with it to help you get started. This is the ideal pitching machine to use when your youth player’s practice routine happens in the backyard and there is not a lot of room for booming fly balls. An ideal portable pitching machine is lightweight, durable, adjustable and does not run on electricity. The engineers at Louisville Slugger looked at all of the needs for a portable pitching machine and came up with the UPM 30 Instructor. Not only does this meet all of the criteria for a good pitching machine, but it also offers more features than you would expect. The UPM 30 Instructor throws lightweight practice softballs and baseballs at speeds of up to 55 MPH. It only weighs 13 pounds and requires absolutely no electricity at all to operate. This machine is so lightweight and precise that it can be used indoors or outdoors to give your youth player, or players of any age, the practice they need to create the best possible swing. What does it take for a pitching machine to be ideal for youth hitters of all ages and skill levels? It needs to be adjustable, durable, portable and safe to use indoors. On those days when it is pouring rain outside, a really good pitching machine can allow youth hitters to get some indoor practice without taking out the family’s prized table lamps. Franklin Sports is known for its innovative youth baseball products, and the MLB Pitching Machine is no exception. This lightweight little pitching machine can be set up in any room, or in any part of the backyard, and deliver lightweight practice balls every 10 seconds. There is a red light that alerts the hitter when the ball is being released, and you can adjust the pitch height to accommodate any youth hitters. This is the best pitching machine for kids because it has everything kids need to practice their swing under any conditions, and everything parents want to prevent baseball practice from doing any damage. Instead of waiting to get a pitching machine involved in your youth hitter’s practice routine, we recommend that you get started immediately. The sooner you get them started practicing with a pitching machine, the sooner they will see the benefits on the field. A baseball swing requires consistency for it to be effective every game. On those days when a player don’t play, they could lose their rhythm if they are not swinging the bat and making good contact. With a pitching machine, any youth hitter can maintain their consistency and make sure that they feel comfortable at the start of every game. After a particularly bad game, a hitter may want to get in some extra swing time to help smooth out the rough spots and get back on track. The hard part can be finding someone to throw pitches so the hitter can figure out exactly what went wrong during the game. When a youth hitter has their own pitching machine, they can practice whenever they want and work out those bugs before they go to bed. That is one way to prevent a bad game from lingering, and creating a frustrating hitting slump. While having a pitcher throw pitches is great, it can be frustrating if the pitcher is not interested in following the youth hitter’s routine. The youth hitter may want to hit off-speed pitches after going through some fastballs, but the pitcher’s arm just cannot keep up. A pitching machine can be set any way the hitter wants, and it will deliver the exact training routine needed to improve hitting. A pitching machine never wears out, and the hitter can create a routine that benefits their game and allows them to become a better hitter. Change-ups can be some of the most frustrating pitches to hit, but some hitters avoid putting change-ups in their practice routines because they want to maintain their rhythm when they hit. After talking to their coach, they realize that including change-ups in their practice routine would be exactly what they need to handle any type of off-speed pitch. This inspires the hitter to alter their practice routine, but they cannot find anyone who can throw a good change-up to help improve their game. A pitching machine will allow any youth hitter to practice against any kind of pitch, and they can set the machine to throw just about any speed they want. After a while, they will be better able to wait on the change-up and still be able to pound the outside fastball as well. The idea that a youth hitter needs a quality pitching machine cannot be over-emphasized. A quality machine will be able to keep up with any workout routine, and it will also offer the options hitters need to get the most from each training session. Once they have their machine, there are a few tips they can follow to get the most out of what a pitching machine has to offer. Most people buy pitching machines to work on their hitting, but then forget that pitching machines are also great for fielding practice as well. By varying the speeds that the machine throws the ball into the air, a player can improve their fielding in a variety of situations. They can also aim the pitching machine so that it throws the ball against various backgrounds such as a cloudy day, or directly into the sun. It is important to maintain a swing with a pitching machine by facing pitches at a steady tempo, but it is also important to work on hitting pitches that give the hitter problems. Whether it is a fastball outside or a change-up down the middle, a youth hitter can use a pitching machine to learn how to judge pitches better and make better contact. It is hard to predict what a game situation will bring, which is why it is smart to use a pitching machine to work on getting used to a variety of game tempos. Start by establishing a tempo that is comfortable for the hitter to establish a rhythm. From there, the hitter can speed up or slow down the pitching pace of the machine to replicate a fast or slow-paced pitcher. These are the types of exercises that will help a hitter to adjust quickly in a game situation and maintain their batting average. A baseball pitching machine is an essential piece of equipment for any youth hitter who wants to improve their swing and maintain consistency. When it comes to investing in a pitching machine, it is important to get one that will allow your youth hitter to get everything they need out of their practice sessions each and every time. The best youth pitching machines are the ones that are portable, durable and can be adjusted to fit the practice regimen of any youth hitter. If you want your young player to gain confidence in their game, then it is time to invest in one of the best baseball pitching machines the industry has to offer.